The University of Utah men’s tennis team (2-0) will host the University of Montana Saturday January 26 at 5pm at the Eccles Tennis Center. The Montana Grizzlies are currently 0-2, but will face Idaho State in Pocatello, Idaho before coming to Salt Lake City. Last weekend, Montana suffered a 7-0 shut-out to No. 38 Boise State, followed by a 4-3 loss to Air Force. Last Time Against Montana Utah netted a 5-2 victory over Montana at home in 2012. 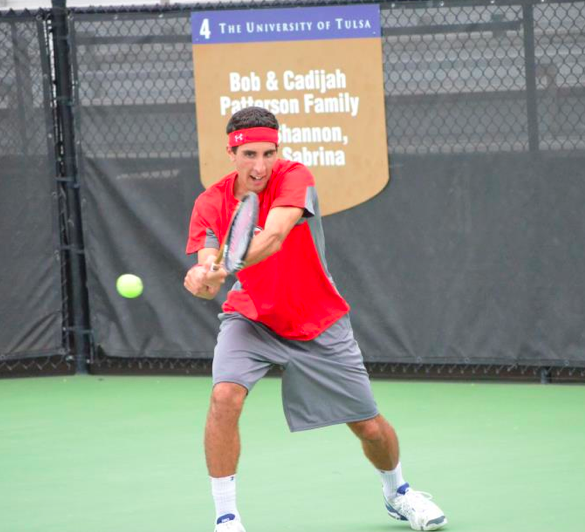 Despite dropping the doubles point to the Grizz, senior Benito Suriano captured the match clincher for the Utes in singles play, routing Carl Kruschke, 6-4, 6-2, at the No. 1 position. “We look forward for a week of good practice and improved play against Montana,” head coach F.D. Robbins says. The Utes are coming of identical 6-1 victories in their season-opening double header last Saturday against Weber State and Idaho State. Utah only saw victories in doubles action from junior Devin Lane and sophomore Slim Hamza at the No. 1 position. The pair captured 8-2 and 8-3 wins in the double header, respectively. Although the Utes struggled to clinch a doubles point this weekend, they did not give up one singles match. This entry was posted in Schedule/Results and tagged Benito Suriano, Devin Lane, Eccles Tennis Center, FD Robbins, Montana Grizzlies, Slim Hamza, Utah Tennis, Utah Utes. Bookmark the permalink.